Installation for Method:Donor is dependent on the type of QuickBooks you have. If you are on QuickBooks ONLINE, keep reading. 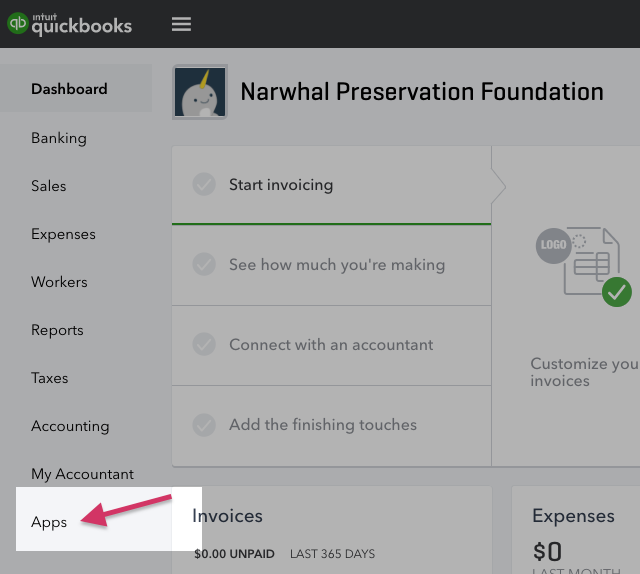 If you are on QuickBooks DESKTOP, please follow our QuickBooks Desktop installation article. 1. Sign in to QuickBooks Online. 2. On the left menu, click Apps. 3. On the App page, search for Method and click Method:Donor. 4. Click Get App Now. 5. 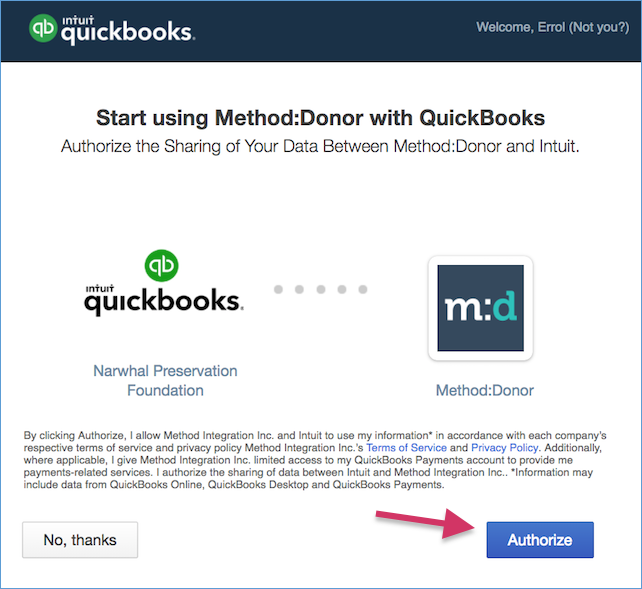 Next, you'll be asked to authorize Intuit to share your data with Method. Click Authorize to continue. 6. Create your Method account! Then click Let's Go to start your first sync. And that's it! You'll now be transferred to your Method dashboard.